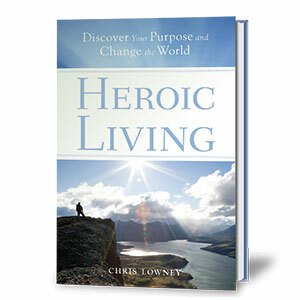 Heroic Living imparts these vital skills through a strategy that challenges us to transform work and home, and beliefs and actions, into an integrated whole. We need to make tough choices, get bottom-line results, and adapt to an ever-changing world. But we also need to find peace and fulfillment by grasping the greatness that we are called to, and Heroic Living visits Caracas slums, corporate boardrooms, high school classrooms, and elsewhere to profile some of the countless ordinary people who have bettered themselves and the world by finding a purpose worth living for and values worth standing for. The book’s ultimate challenge? By transforming ourselves into who we should be, we can lead our civilization toward what it should be: not a small-spirited, self-absorbed humanity but a great-spirited civilization that loves life, other people, and the world. The time for the civilization of self is over. Let’s start building the civilization of love.